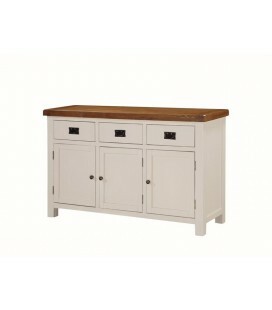 The Somerset dining and occasional range, in a light oak finish, offers something for everyone. A solid oak, solid wood with selected oak veneer range with rounded edges and dovetailed drawers offers exceptional value for money. The 5' x 3' and 4' x 3' butterfly extension dining sets are complemented by an extensive occasional collection that will sit pride of place in any living room, dining room or hall area.